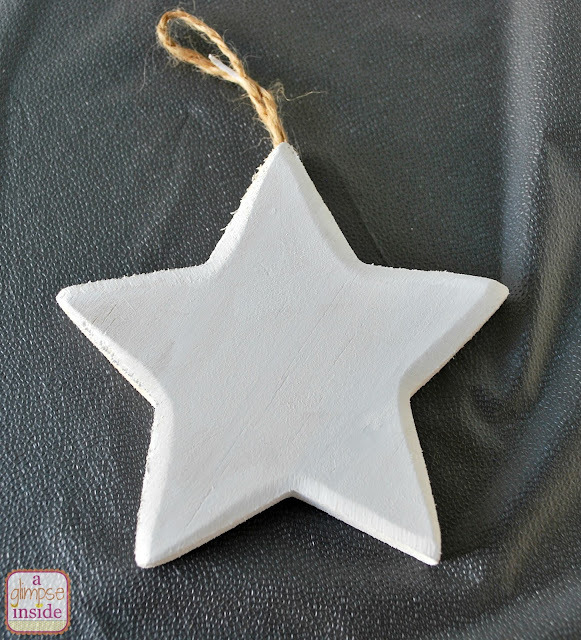 I gave the star a coat of white paint to act as a primer so that the finished coat of paint wouldn't soak into the wood. 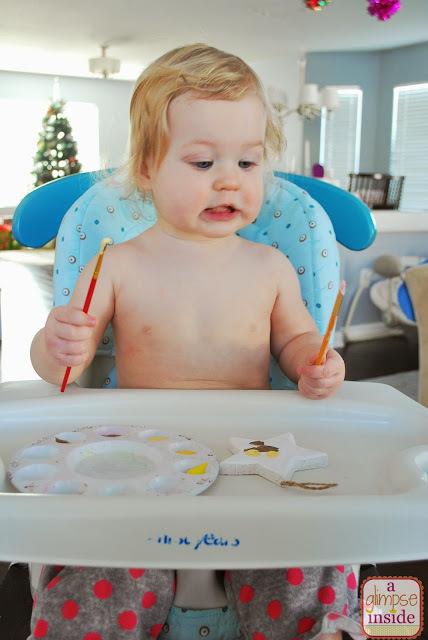 I got Miss P all set up in her high chair with the paint, ornament, and paint brush. 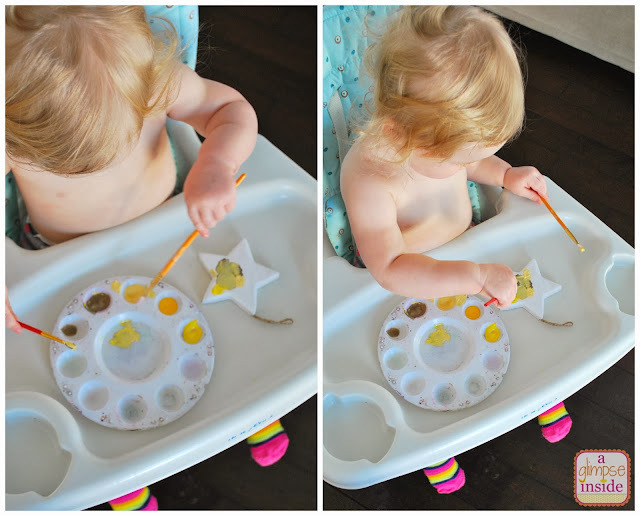 I took her shirt off so she didn't get any paint on her clothes but you could always use an apron if you have one. 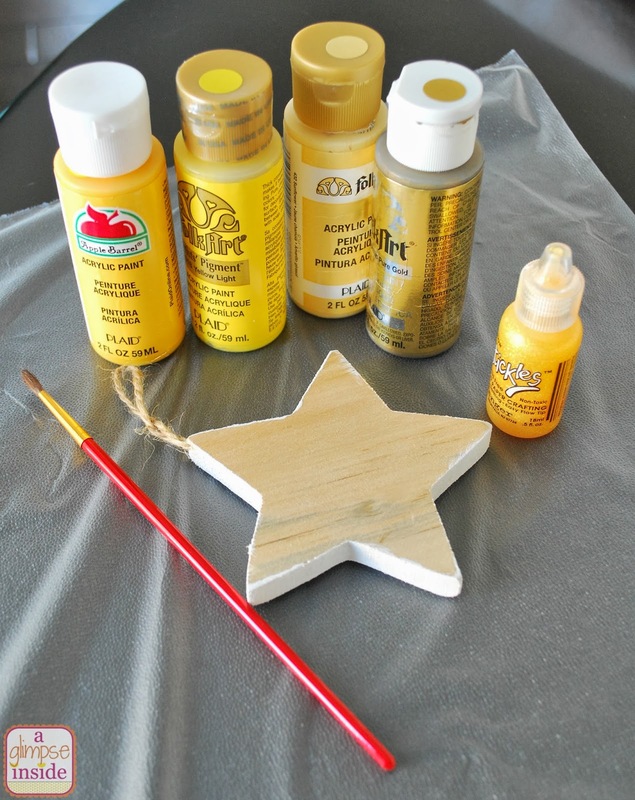 I put a few different shades of yellow in a pallet and then a gold metallic and let her go to town painting. Miss P really enjoyed painting! 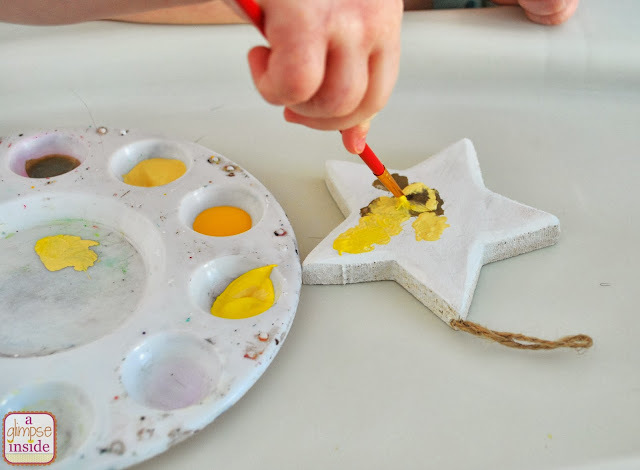 I loved that she was using two brushes. 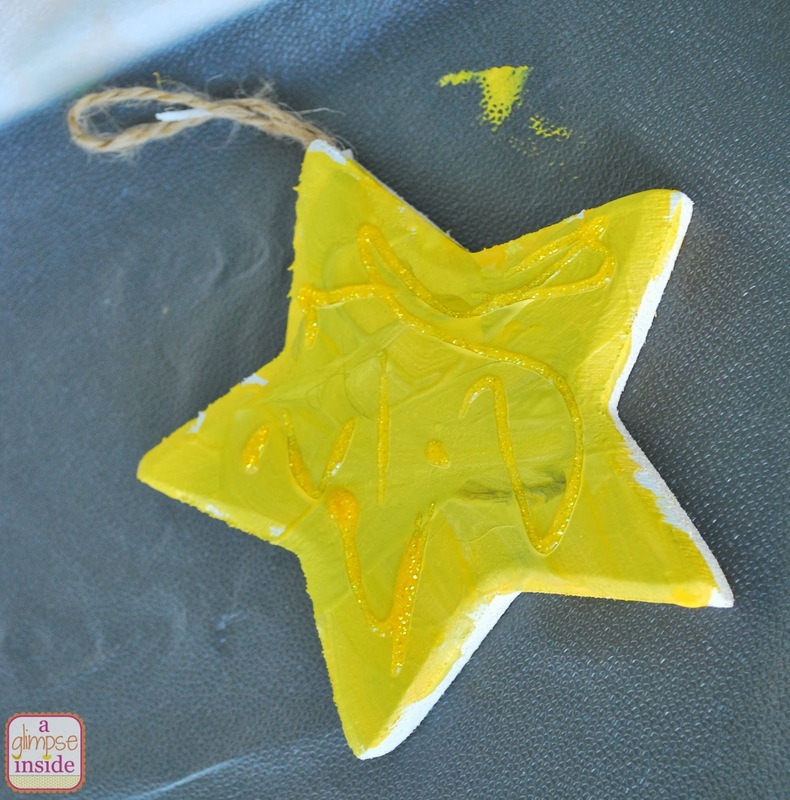 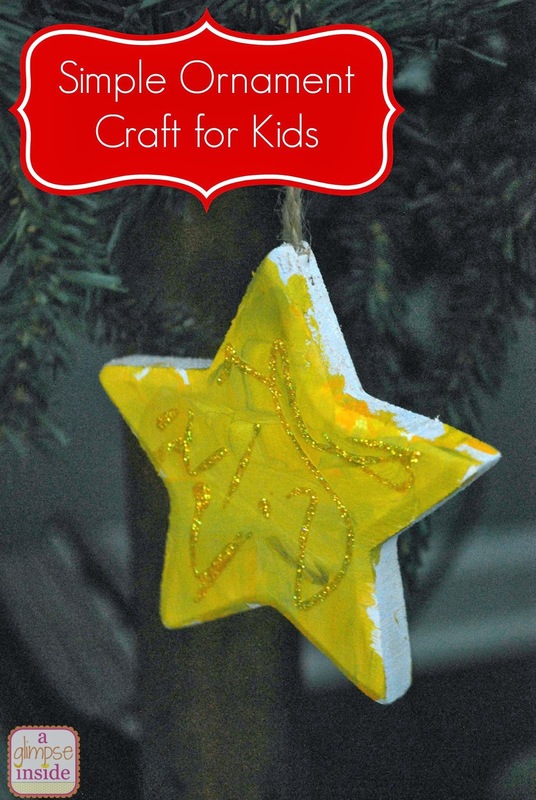 Once she was done painting, I let the paint dry and then we used yellow Stickles on the star to add a little sparkle but without using messy glitter. 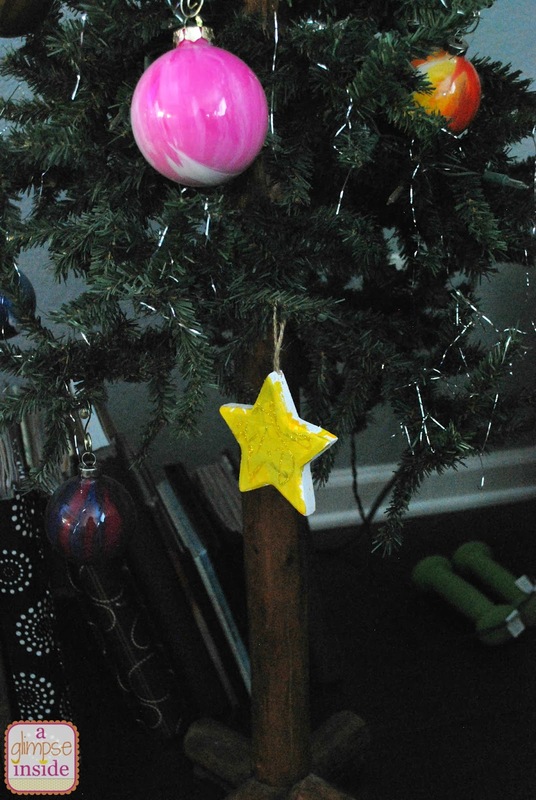 I wrote her name and the date on the back and we hung it on our tiny trees in the living room. I love how it came out and it definitely isn't perfect since she is so young but that is what I love about it. I can't wait to do this again next year to see how her ornament will turn out then along with starting this with Miss S.